Zoho One is GREAT for business! The truth is Zoho One can do pretty much anything you can imagine. That’s what’s so cool about it. It includes more than 40 enterprise-level online applications that can help your business. From tracking sales, promoting products, managing accounting, communication, and much more. Combine that with the fact that’s it’s way more affordable than most all-in-one business management systems. It’s easy to see why many businesses are opting to go with Zoho One vs. G Suite, Salesforce or other competitors. Here are some applications we’ve found help many of our clients. Would any of these benefit your business? The list goes on and on… And once you have all of these applications properly set up and running smoothly, you’ll find your productivity and efficiency increase. Not only that, but you will have much better decision-making capabilities. All the data you could ever want is at your fingertips. Is Zoho One Right For Your Business? 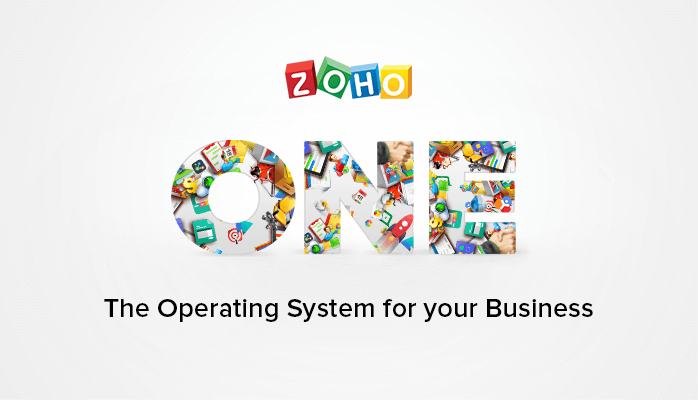 Zoho One is ideal for small businesses and start-ups. It was designed with the smaller company in mind, but not too small; if it’s just one or two people, it’s probably better to cherry-pick the applications you need until your business grows to at least about 3-4 employees. Once you hit that point, you’ll find Zoho One offers a user-friendly, feature-packed web-based suite complete with a well-rated phone app. Zoho’s mobile apps make it easy to access information from anywhere. The apps are particularly helpful for your sales and marketing team. It’s true that Zoho One is a great solution for small businesses to have complete control and insight into their operations. We’ve found one of the hardest things with Zoho One is knowing where to start. There are so many different applications included in the suite. Each app requires setup and integration not only with each other, but with how your business runs and operates – that’s where we come in! It can be overwhelming, and without knowing Zoho inside and out you may miss out on many of the features that are provided. Additionally, both your company and Zoho One are constantly growing and changing. As Zoho increase applications, you may need to make a few tweaks to your integrations. If your business is outgrowing the hodge-podge of software and applications you’ve put in place to date, it may be worth your time to explore Zoho. The benefits of an all-in-one business suite is a sure way to enable and facilitate seamless growth for your company. We’re Zoho Authorised Partners, and we’re happy to answer any questions. If you’d like to try Zoho One, or any of Zoho’s individual applications, you can sign up for a free trial.